Wouldn’t it be amazing to enjoy coffee without the jitters or harsh spike in nervous system stress on the body? 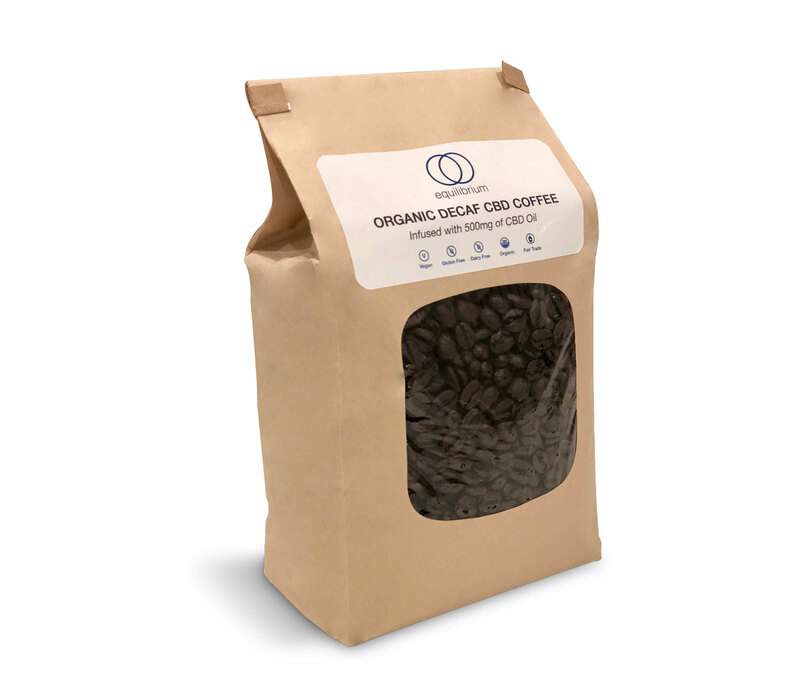 This premise is what intrigued Dr. Cabral to look into the potential of blending the benefits of organic coffee with the calming nature of cannabinoids. After all, organic coffee can be a tremendous source of antioxidants and with over 1000 clinical studies (and counting) CBD oil is quickly becoming one of the most popular supplements in the world — for good reason! After more than 6 months of trials and testing the perfect CBD infused coffee was created and we are now excited to debut this exclusively at Equilibrium Nutrition. It’s with great pleasure that Equilibrium Nutrition is at the forefront of the highest-quality grade CBD products and the first to debut CBD infused coffee! Coffee is a very powerful food-based supplement, loaded with science backed research to support its overall wellness and anti-aging benefits. The only drawback is that the caffeine in coffee can spike nervous system stress in many individuals. Our goal with CBD infused coffee is to enable people to enjoy their cup of coffee without the spike in autonomic nervous system stress. This way, you get the best of both worlds! Essentially what we did was take the best single source whole coffee beans in the world and then infused them with an entire bottle of our organic CBD Oil. This means that in every bag, you’re getting the highest quality coffee you can find plus a 500mg bottle of organic CBD Oil. This equates to approximately 15 to 25mg of cannabinoids per cup, depending on the amount of coffee beans you consume. Our decaffeinated, whole bean coffee met the most strict standards possible for selecting an organic bean of Mexican origin that did not use harsh pesticides. And to decaffeinate the beans, we chose to use the cleaner and gentler Swiss water process method for decaffeinating the bean. This ensures that no harsh solvents were used so that you can feel good about enjoying your decaffeinated cup of coffee infused with all the power of a full spectrum cannabinoid formula. And although this is great, you do not know if it is a full-spectrum, organic quality CBD Oil and what extraction methods they use. Plus, they often offer this extra add-on in your coffee for $5-10 per cup in addition to your $4 latte. And… the CBD Oil is not infused directly into the beans. What we’re offering is a 500mg bottle of our highest quality CBD oil infused with every bag for less than half that price! You get a $69.95 bottle of 500mg full-spectrum Organic CBD Oil, plus a $23.95 organic, whole bean, single source coffee. Not to mention our exclusive “infusion method” we use to soak the beans in CBD Oil. This is a $300 value at your local coffee shop for our introductory price of $49.95 (initial sale price) while supplies last! 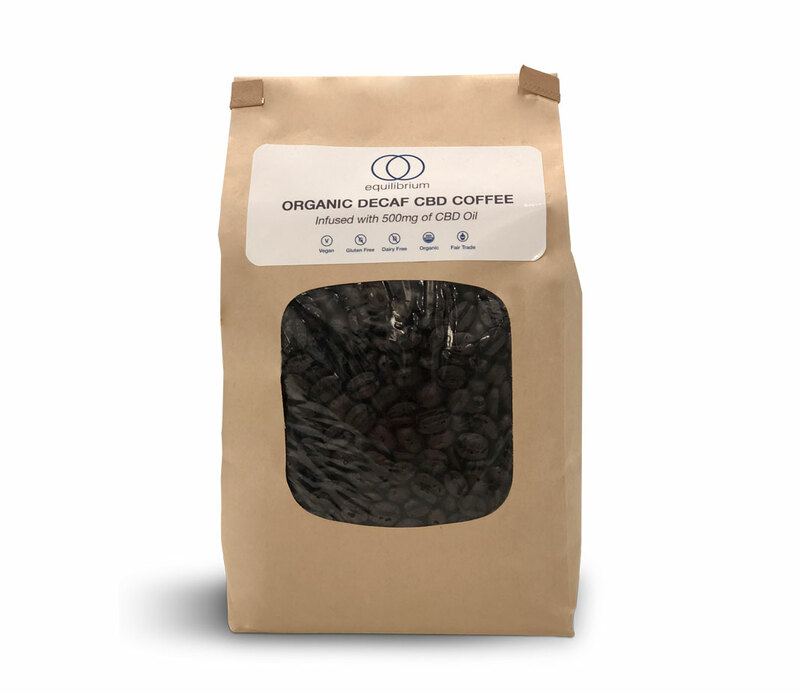 Being at the forefront of the CBD movement and being able to provide you with a beautiful, organic cup of CBD infused coffee every morning is something we are very proud of and we hope you enjoy this exclusive product too! This is a limited-edition initial run and we can’t wait to see and hear your experience of sipping this cup of smooth, calm energy.